The India Mark II Hand Pump, a conventional lever action pump, is one of the largest selling hand pumps across the world. The government of India along with the continuous and considerable efforts of non-governmental, industrial and multilateral organizations in the 1970s developed this mechanically efficient hand pump. The above ground mechanism comprises the pump head, handle, water tank and stand assemblies, and the below-ground mechanism comprises riser pipes, connecting rods, and cylinder assembly. 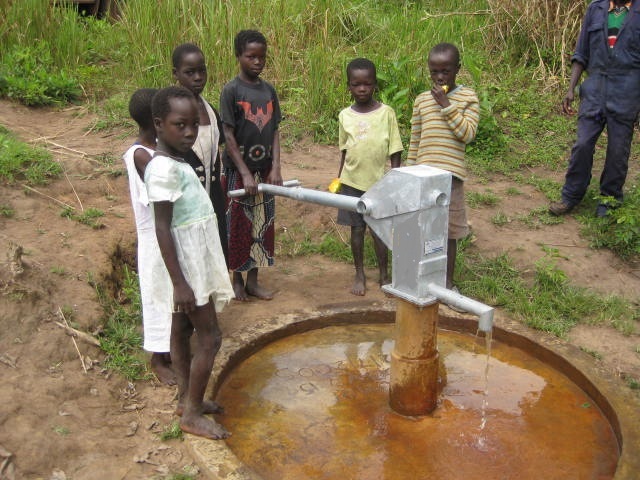 The pump is designed for heavy-duty use and is capable of serving communities of up to 300 people. This pump consists of a pump head, pump stand and a handle made of galvanized steel. The downhole components consist of a brass lined cast iron cylinder with a foot valve and a plunger of brass. Since this pump is not corrosion resistant and requires special skills and tools for maintenance along with installation, it is not considered to be a VLOM (village level operation and management of maintenance) pump. Thus it cannot be used in areas with aggressive water conditions. The above ground body of the pump is made of welded steel plates and is hot dip galvanized for corrosion resistance. The handlebar is designed to reduce the pumping effort of the user to a minimum since the weight of the connecting rods is counterbalanced. The cylinder has a highly polished brass liner, which ensures a long life of the nitrile rubber pump bucket. The pump requires a circular operating space of 2m diameter and the operating depth ranged from 25-90m and gives a water output of 900 liters per hour at 40 strokes per minute. The speed might vary, reaching a maximum of 125 strokes per minute but the ideal speed remains 40 strokes per minute. The riser pipes are 32m in diameter and GI, SS, UPVC pipe variants are available. The mark II pumps manufactured by Aakash International possess features that differentiate them from other variants available in the market. The pumping head, handle, pump stand, rising main and rods are made of galvanized steel which makes them corrosion resistant, while the pump cylinder caste and foot valve are made of brass. Also, the Indian Bureau of Standards has been adhered to while manufacturing of this product to ensure the provision of maximum quality to the customers. 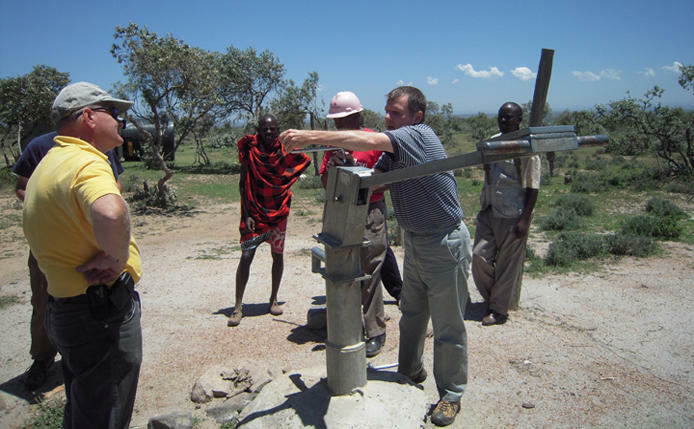 Under the hand pump project of the UNDP/World Bank, extensive trials were conducted on twelve different deep well hand pumps from all over the world, including France, Holland, Canada, Sweden, South Africa U.K., U.S.A., and India. The parameter for testing included ease of manufacture and use and installation, mechanical and volumetric efficiency, the frequency of breakdowns and maintenance needed, user-friendliness and acceptability, and resistance to corrosion. 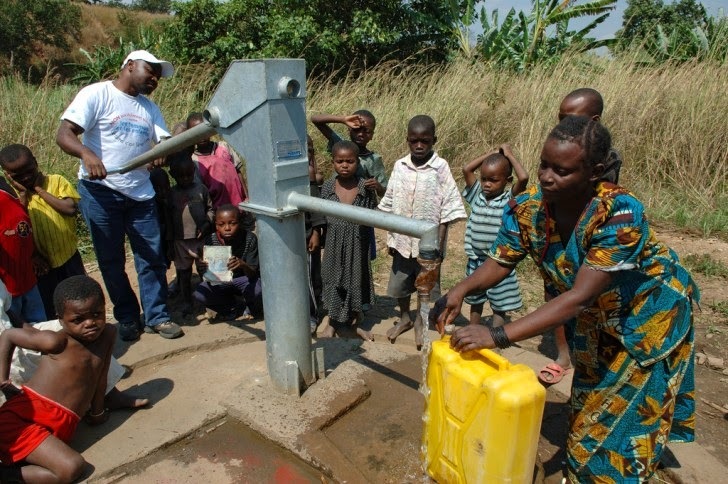 Mark II emerged as the best hand pump of all through these tests, which makes it the most widely used hand pump around the world. The sturdy nature of this hand pump requires adherence to standards of quality control to eliminate broken down pumps that are not in use due to use of substandard parts during manufacturing. At Aakash International, it is made sure that the standards provided by the Indian Bureau of Standards are adhered to, which ensures that only the best quality is provided to customers.